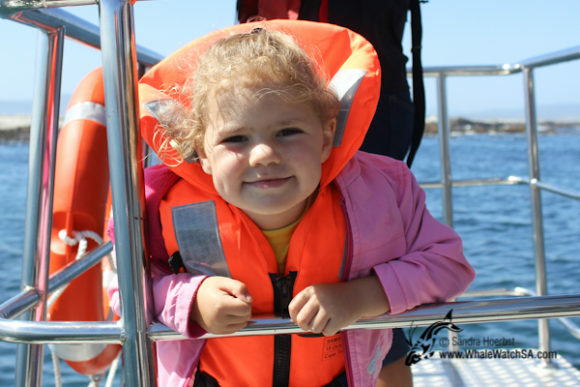 After a day back on land we were heading out to sea, to find some marine life. 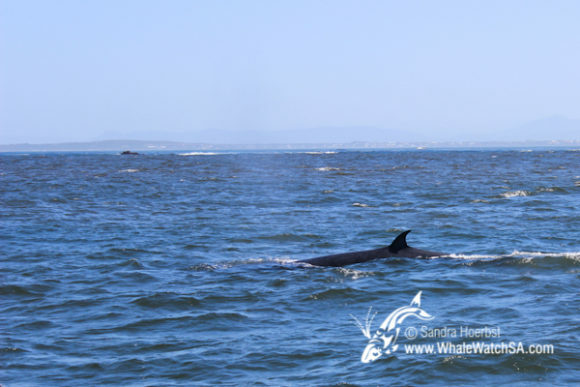 On our way towards Dyer Island we stopped at our sister company Marine Dynamics, but haven’t been very lucky and didn’t get to see a Great White shark. 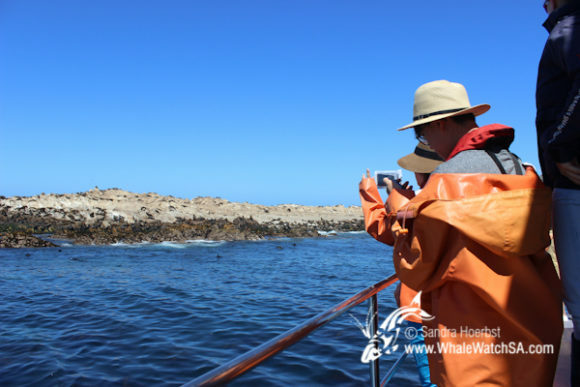 Just before driving into the world famous Shark Alley, one of the crew members spotted a spout. 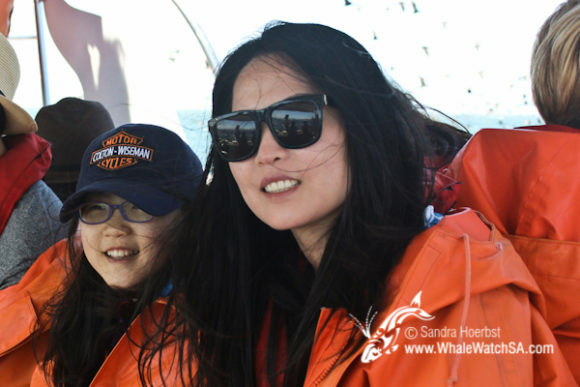 We changed direction and approached the whale respectfully. 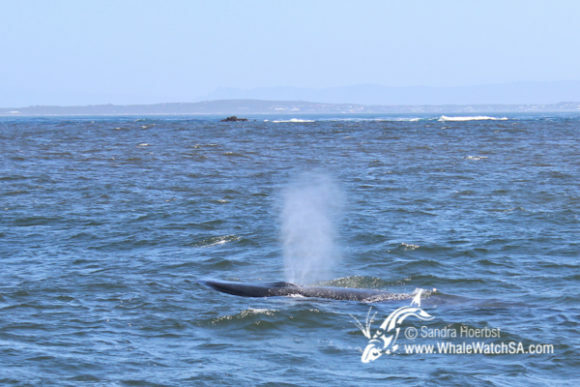 The Bryde’s whale we encountered was very relaxed and surfaced a few times close to our vessel, ‘Dream Catcher’. 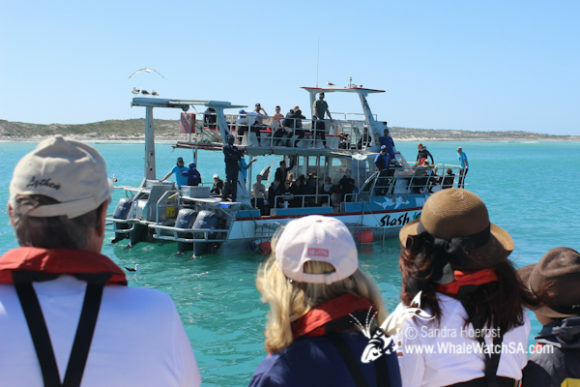 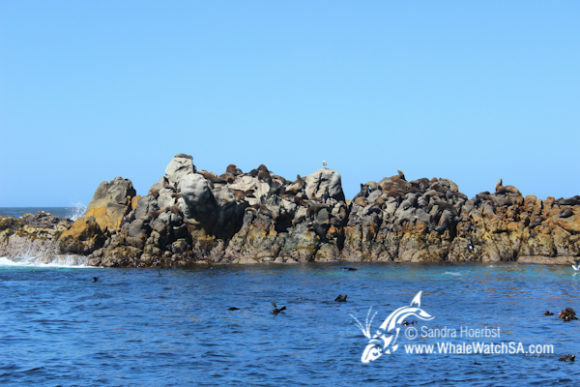 After spending some time with the whale we were heading back towards Shark Alley to see the Cape Fur seal colony on the 3 hectare island named Geyser Rock. 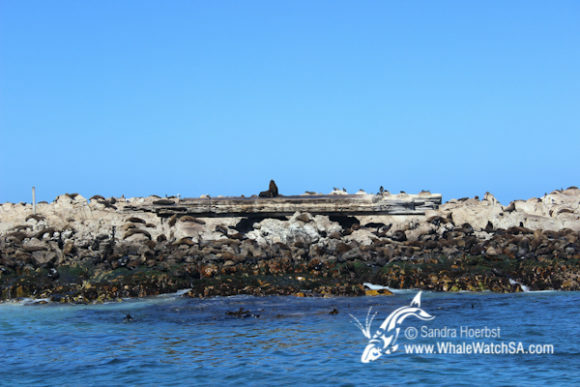 We also made a closer pass at Dyer Island to see the endangered African penguin, as well all the other seabirds around. 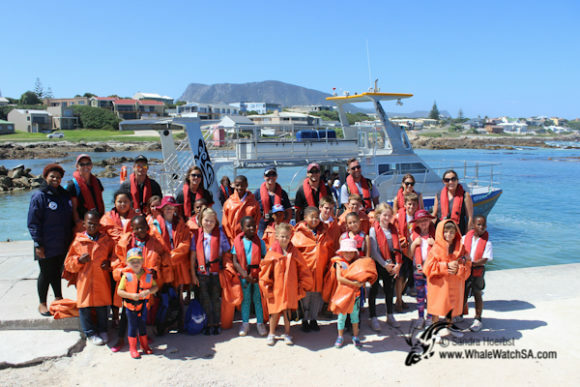 On our second trip for the day we had Okkie Smuts Primary school from Stanford aboard our boat, hope they had a lovely time with us.